With excitement and more than a tinge of sadness we loaded up Cedric for his final leg of the teapigs real tea tour. On arrival we could barely contain our excitement at a prime pitch position and a line up consisting of Rod Stewart, UB40, and Take That! But excitement soon turned into disbelief seeing that the billing also included The Beatles, Queen and Michael Jackson. Alas, it soon became apparent we were about to witness the UK’s finest selection of tribute bands. The weekend saw more than four thousand revellers descend upon Oake to see their impersonated idols on the big stage. True to form the great British summer didn’t disappoint either with a mixture of sun, showers and torrential rain. But dampened spirits there were not and with 22 varieties of wholeleaf tea and a whole lot of matcha action there was plenty to be cheery about. As the only tea provider at the festival we certainly had our work cut out. We filled thermos’ with chai, took family orders of Rooibos Creme Caramel and stumbled across liquid gold, in the form of matcha hot chocolate, which went down a treat when the temperature dipped. There were real tea converts aplenty and lots of return customers mood matching their tea orders. We even had Gary Barlow’s singer/lookalike have an everyday brew. The faithful teapig urn dutifully kept up with demand and by the end of Sunday we were shattered but warmed with the knowledge that we had spread the real tea message throughout the South West this summer. What better way to relax than with an Rooibos crème caramel, a matcha flapplejack listening to an ashamedly impressive Take That tribute! It’s been a blast! 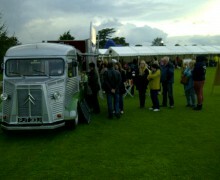 Stay tuned for future outings of Cedric the teapigs tea van. 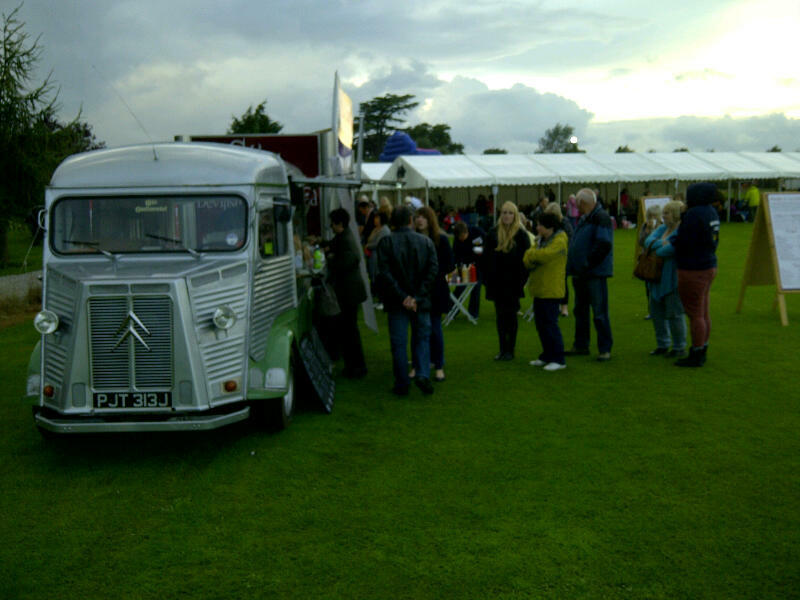 Interested in having the teapigs real tea van attend your event in 2013? Click here to get in touch. View all of the 2012 teapigs real tea tour events.